The Acme LED Thin & Light Pack is a portable all-in-one DMX LED lighting system that is ideal for all entertainers, from DJs and bands to theatrical performers. The System brings the advantages of LED lighting to users with limited space and budgets. Compact and easy to use, it was designed for "fast and easy" set up and tear down. The Thin and Light Pack is great for entertainers who want to get into reliable, easy-to operate LED stage lighting at a very affordable price. Many of our customers have been asking for this type of system, because they know that there are numerous advantages to using LEDs as opposed to traditional halogen lamps. The four individually adjustable, LED Par Panels are of slim line design, and connect to the control bar. Each Panel features 212 ultra bright RGB LEDs, with at least twice the output of inferior systems. The control bar features a four button LED display for instant access to the internal programmes. The optional CA-8F foot controller gives instant, simple control over mode, pattern and blackout. For on-the-road flexibility an optional polypropylene flight case is available. The lighting combination is fully DMX compatible, selectable up to 16 channels and multiple Packs can be linked for a wider synchronisation. This is a light-weight, straight out of the box lighting solution that brings a new level of simplicity to a professional lighting system. 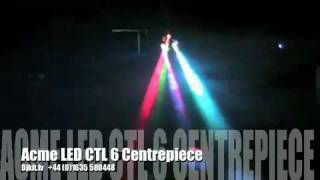 Considering purchasing the Acme Thin & Light Pack - 4 Head LED Par 64 Kit? Have questions? Ask people who've recently bought one. Do you own the Acme Thin & Light Pack - 4 Head LED Par 64 Kit? Why not write a review based on your experience with it. 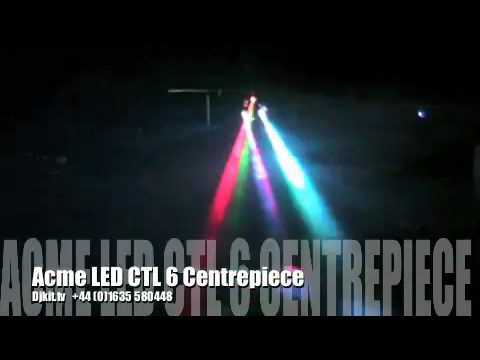 Seen a video for Acme Thin & Light Pack - 4 Head LED Par 64 Kit online or have you own video? Check out Acme Thin & Light Pack - 4 Head LED Par 64 Kit on DJkit.com!